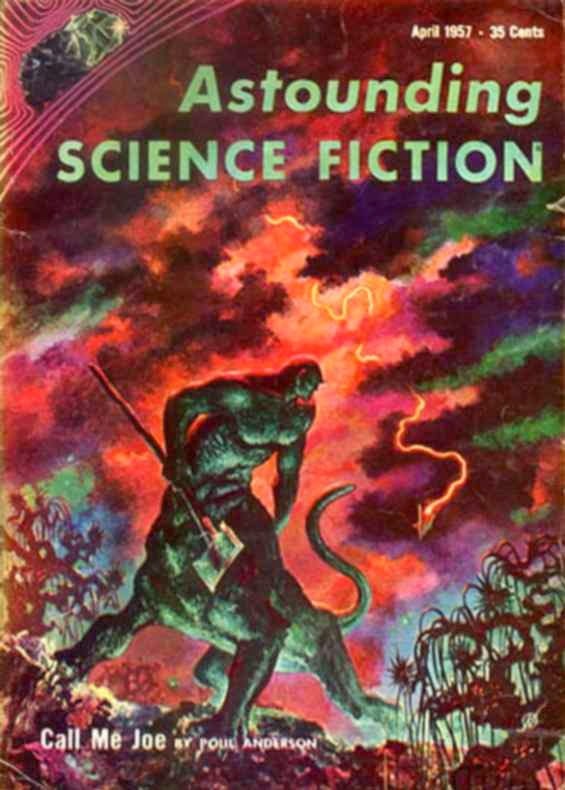 Edward Anglesey operates a psuedo-Jovian creature that looks a bit like a centaur and has a human face. He operates this from space while the creature explores the face of Jupiter. He can full experience the world of Jupiter through this creature and it is helping him and the crew better understand what life consists of on Jupiter. However, for some reason the mechanism that connects the Anglesey with the world below keeps short-circuiting and it's unclear why. Jan Cornelius has been brought out to the spacecraft to determine what the reason is for the problems. He tinkers with the machine while also interviewing Anglesey but Anglesey is a bit hostile feeling that Cornelius is interfering with ability and focus on running the creature on Jupiter. There is a delicate balance about for Anglesey to maintain because he must be present whenever the creature is awake. The large goal is to determine if these purposely bread creatures can survive on the planet and if so, will they all need to be controlled. Until it is determined that life is sustainable for this genetically modified beings, the ship will send down other pods to land. However, the journey to the planet is quite challenging and only one in two ships tend to make it. As Cornelius continues to study the problem, he believes the issues lie in Anglesey's subconscious resisting visiting the planet. However, in the final confrontation when Cornelius figures out what has gone on with Anglesey, he sees that Anglesey has somehow almost entirely transferred his consciousness to the creature on the planet (and named "Joe"). When Cornelius shows Anglesey what' he's done and tells him he can let go of Anglesey's human body, that's exactly what he does. The contrast between the world of the spacecraft and the harsh Jupiter environment was fascinating and the science behind it though a bit vague, still rather done well by Anderson who is an old hat at hard science fiction. That Anglesey chooses to live there in this new humanlike-form rather than on the ship in his condition (wheelchair bound) does leave me mixed in some ways. The message to some degree is that it is better to be genetically modified human-like creature on a harsh planet than be a human with a handicap. However, it also makes me think about the ways in which we see the introduction of cyborg limbs and instruments that do indeed turn what was a disability into what may be considered a super-ability.